Before 22 Jump Street star Channing Tatum (Magic Mike, 21 Jump Street) played an undercover cop at a local college, he was a high school teen in She’s The Man (rent it on iTunes). The film co-stars Amanda Bynes (Hairspray, The WB’s What I Like About You) and Laura Ramsey (The Covenant, AMC’s MadMen). She’s The Man (Music From The Motion Picture) is released by Lakeshore Records, and includes a fun compilation of music by OK Go, The Veronicas, David Lichens, Slightly Stoopid, The F-Ups, Junior Senior, Flipsyde, Dressy Bessy, Matt White, Spiderbait, Ken Oak, The Tea Queens and a score by Composer Nathan Wang (Rumble in the Bronx, Reefer Madness: The Movie Musical). Watch the music video for “Let Go” by David Lichens at the jump. Fans of Channing Tatum will be happy to know he will continue along the path of tackling roles in action films as it was announced he will star as Gambit in X-Men: Apocalypse, expected to be out in theaters in 2016. Don’t miss a beat: subscribe to Film Music Daily! If you’re looking for a fun movie in which both men and women get to flex their shoot ’em up and ultimate-fighting muscles, then check out Bounty Killer (watch it on Netflix) starring Matthew Marsden (Resident Evil: Extinction), Kristanna Loken (Terminator 3: Rise of the Machines, The Legend of Awesomest Maximus) and Christian Pitre (HBO’s True Blood, Crazy, Stupid, Love.). The movie is scored by Greg Edmonson (Fox’s King of the Hill, Fox’s Firefly). 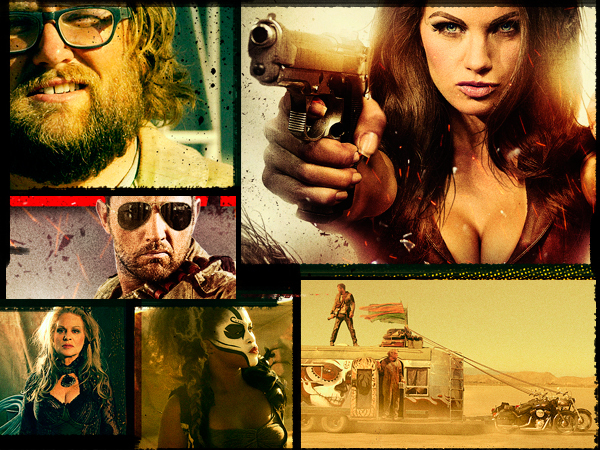 Set in a post-apocalyptic future in which bounty killers gain fame and fortune by killing off corporate greed, literally, Edmonson’s score is the perfect accompaniment to all the road warrior action and high-stakes drama. Co-stars Gary Busey (Piranha 3DD, Lethal Weapon) and Beverly D’Angelo (Harold & Kumar Escape From Guantanamo Bay, Entourage) round out the big ensemble cast. Fun fact: before directing Bounty Killer, Henry Saine worked as the graphic designer for hit television shows like The Office, Entourage and That ’70s Show. Looking for something to watch on Father’s Day? We mix things up a bit with three great movies with soundtracks released by Lakeshore Records: Get The Gringo (watch it on Netflix), Spy Kids: All the Time in the World in 4D (watch it on Netflix) and World’s Greatest Dad (watch it on Netflix). Get The Gringo is scored by Antonio Pinto (Lord of War, Perfect Stranger, Snitch, The Odyssey), Spy Kids is scored by Carl Thiel (Kill Bill: Vol. 2 and Grindhouse: Planet Terror) and Director Robert Rodriguez (Machete Kills, Sin City), and World’s Greatest Dad features music by Bruce Hornsby, Peggy Lee, The Deadly Syndrome, Akron/Family, Inara George and Brenden Benson. 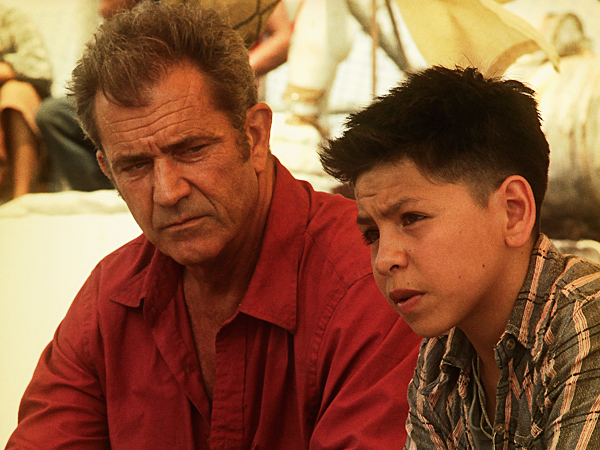 In Get The Gringo, A young boy (Kevin Hernandez) teaches a career criminal (Mel Gibson) how to survive inside a notorious Mexican prison. Jessica Alba (The Love Guru, Sin City), Jeremy Piven and Joel McHale (NBC’s Community, Spider-Man 2) head up Spy Kids, an adventure the whole family can enjoy. World’s Greatest Dad is a dark comedy which stars Robin Williams (Night At The Museum, August Rush) as a father who covers up his surly son’s embarrassing death, played by Daryl Sabara (John Carter, Machete). It’s been 10 years since Napoleon Dynamite first debuted in theaters, when movie goers were introduced to the laugh-out-loud moments of this coming of age movie centered around the life of Napoleon Dynamite, played by Jon Heder, a high school student determined to make a difference. Keep the fun going: join in Lakeshore Records’ celebration of Napoleon Dynamite Week: make a six-second Napoleon Dynamite vine or #DanceForPedro dance loop, and we will revine our favorites! Shailene Woodley fans will get to see her in the comforts of their own homes: The Spectactular Now is now available via Amazon On Demand. So, if you’re hankering for another romantic film after watching her in The Fault In Our Stars, all you have to do is subscribe and hit that play button. The score album for The Spectacular Now, released by Lakeshore Records features a score by Rob Simonsen (Seeking A Friend For The End of The World), who embues the film with incredibly memorable and romantic music, and bonus tracks by Ariel Pink and Dam-Funk, and Kurt Vile. 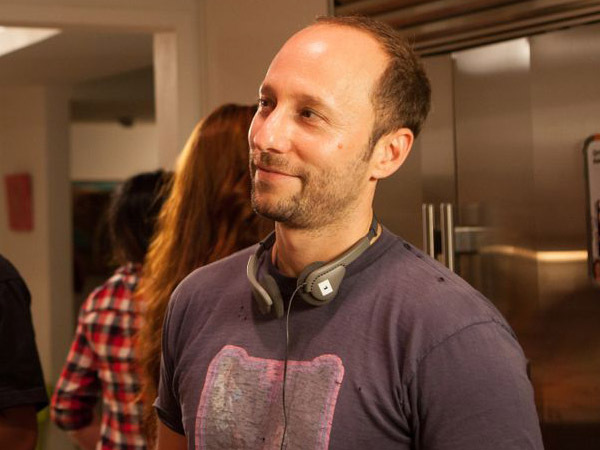 Lakeshore Records recently spoke with Darren Stein, director of the teen comedy, G.B.F. (watch it on Netflix), and film classic, Jawbreaker. We caught up with the Los Angeles-based director and writer who is currently writing the libretto for the musical stage production of Jawbreaker: The Musical, expected to premiere in 2015, and Lifetime’s adaptation to the cult teen novel anthology, Flowers In The Attic: Seeds of Yesterday. What is this seeming fascination you have with proms? With Jawbreaker, it was really an homage to Carrie and the idea of a public meltdown in a big event; that, being a prom. For G.B.F. — I didn’t write it — it just happened to be the third act of G.B.F. High School is sort of like a heightened event in life, like prom. For me, there was a homecoming dance; I remember I went to a summer program in junior year in high school. I met a girl there from Florida, and I asked her to my Homecoming. She was my friend. My mom did her makeup. I went to an all-boys private school. It was very academic and I was in my bedroom studying all the time. It was really through movies where I saw where all the fun was happening. It was in my neighborhood, where I was making movies with all the neighborhood kids, when I really came alive. How much of an influence did you have on the music? Every musical selection on the soundtrack I either chose or approved. Growing up in the ’80s, the soundtrack was part of the teen movie experience. You’re exposed to fashion, jargon and slang, and music — a big part of the world. I wanted the soundtrack to feel immersive of the era of each film. The music should be thematically relevant as well. It’s a really fun soundtrack. I stumbled across the “Gay Best Friend” song: it’s kind of infectious. As I worked on the film, I gradually became aware that the song needed to be included. Did you put your high school self into any of these movies? Tanner and Brent (in G.B.F.) were into comic books and under the radar. I’m sort of more like Brent. I wouldn’t say I’m like Woody Allen who is the director and the main character. I’m really into Kate Bush, Deap Vally — two girls from L.A. — they’re sort of like White Stripes’ hard sound, Haim, Peaches, The Pains of Being Pure at Heart, and the new Kylie Minogue album, Band of Skulls, Arcade Fire, The Best Little Whorehouse in Texas soundtrack… just lots of stuff. Do you have a writing or directing ritual? Music is always playing in my car. I usually work out in the morning and then btween 1 to 7 p.m., I write. I try to get in a good four to five hours of writing. I like to leave the house. There are so many amazing coffeehouses in L.A.
Was it always filmmaking for you, or did you want to do something else? My family was in the post-production business. I’ve always been around film. I bonded with my dad over watching films. Having a father in post-production made it an accessible career; it seemed attainable as a goal. Of course, my mom suggested I be an attorney or doctor. Being a filmmaker, it is a struggle. But when you have the calling… you really have one life. You should just go for it. Colin Firth, Cameron Diaz and Alan Rickman form a comedic cast in Gambit (rent it on iTunes), the 2013 remake to the 1966 movie of the same name. This modern version, written by Joel Coen (Fargo, No Country for Old Men) and Ethan Coen (Burn After Reading, A Serious Man, The Big Lebowski), shifts the geography on the love interest (instead of Hong Kong, she’s now from Dallas, Texas), but the basic similarities are unmistake. Lakeshore Records released the Gambit soundtrack, with a score by Rolfe Kent (Thank You For Smoking, Reign Over Me, The Hunting Party), and you can preview the album here. 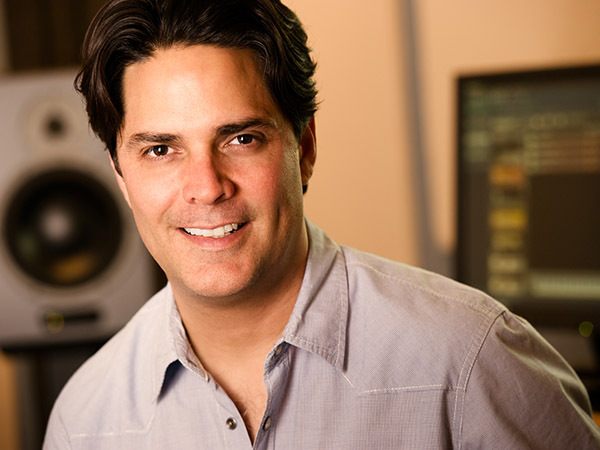 Composer Tony Morales Talks Film Scoring On ‘In Your Eyes’ | Download The Album! Lakeshore Records recently spoke with Tony Morales, the Emmy-nominated film composer who scored In Your Eyes, the new Joss Whedon movie directed by Brin Hill. Currently working on the new Lifetime TV Movie, Outlaw Prophet: Warren Jeffs, he took a moment to talk working on In Your Eyes and how he views music making. A New Hamphire native, he moved to L.A. right after graduating from the prestigious Berklee College of Music in order to attend USC’s Advanced Studies in Film Scoring program. Morales found his calling while at Berklee when he was inspired by film scoring greats like Bernard Herrmann (Vertigo) and Jerry Goldsmith (The Omen). What was it like working on In Your Eyes? I had worked with Brin Hill before on his feature debut, Ball Don’t Lie (2008). We have developed a great trust in our working relationship since then. For In Your Eyes, we decided on using orchestral and electronic instruments to best support the story. My approach then was to combine live strings, hand percussion and solo voice with electronic beds and processing. The scene I wrote was “It’s Snowing.” From there, ideas started to happen and the process was up and running. Do you identify yourself as a composer or musician? I am a composer first but still a musician. When I finished my education, some of my first work came as a guitar player on film and tv sessions. The guitar is an instrument I use quite often in my composing work. It changes all the time but right now, it’s the Bajo Sexto – it’s a 12-string acoustic bass guitar, mostly heard in Mariachi music. It’s like a heavy metal bass guitar. Really rumbly. What do you think about orchestral music and processed electronic music criss-crossing platforms? I’m all for it: music is music. Music in film is there to support the story. I’ve been involved with both. I got my start writing music for commercials — there’s a lot of pop music requests in that realm of work. A couple of years ago Eddie Vedder wrote a bunch of songs for Into The Wild that I really enjoyed just as much as I love a Thomas Newman (Skyfall, Wall-E) score. You have been nominated for just about every music award, what does that feel like? I love what I do and am thankful to even have the opportunity to do it! In your years composing, what were some surprises or lessons you’ve learned that helped make you who you are now? There’s definitely more to this career than the creative side. Relationships are very important. It’s important to be able to collaborate and listen, to be able to accept ideas; to be someone that people can be comfortable with. People want to work with people they like; people they trust. Things can get stressful and intense so those relationships really help. Go ahead and have fun! Tag Lakeshore Records on your Vines and we’ll Revine our favorites! Stay tuned for more on Wednesday, when MarksBasementRecords announces our Napoleon Dynamite Vine challenge! If you were to live, die, repeat like Tom Cruise’s Edge of Tomorrow character, what would you do over and over again? BAFTA-winning Director Duncan Jones (Moon) takes us on a time-travelling ride in Source Code (watch it on VUDU), starring Jake Gyllenhaal (Zodiac, Donnie Darko). Lakeshore Records released the soundtrack to this critically-acclaimed movie, scored by Composer Chris Bacon (The Dark Knight, Blood Diamond). Expect to find a soundtrack filled with big orchestrals which underline every thrilling moment of this movie. 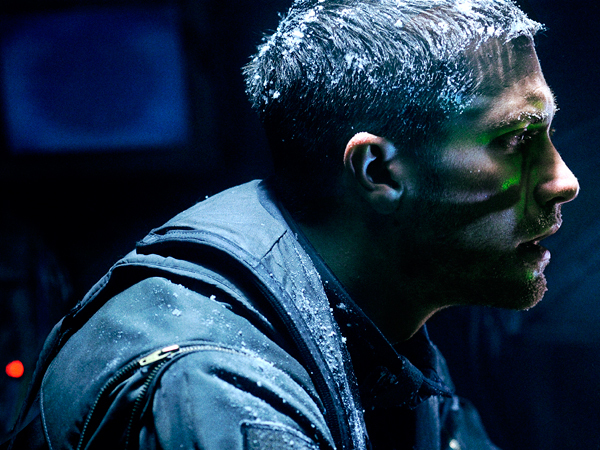 Gyllenhaal’s character, Colter Stevens, is a soldier who finds himself a part of a covert government computer program called “Source Code,” in which he gets to re-live the last 8 minutes of a man’s life over and over again in order to locate a Chicago commuter train bomber. He soon finds himself on a separate mission to save Christina Warren, played by Michelle Monaghan (Better Living Through Chemistry, Expecting). Source Code also stars Vera Farmiga (A&E’s Bates Motel) as Colleen Goodwin, an official from the Source Code operation who interfaces with Colter Stevens. It’s a small world: Composer Chris Bacon now scores the Bates Motel TV series.